I was also sad when I heard that Central Bank of Nigeria has announced changes to ATM withdrawal fees paid by cardholders for use of ATMs other than that of the card holder's issuing Bank. This new changes will take effect starting from the 1st of September, 2014 where Cardholders will be charged a #65.00 fee every 4th time they make withdrawal on another bank's ATM within a month. In a clearer and understandable way, the first 3 withdrawals you make in a month using other Bank's ATM are free while you will be charged #65.00 the 4th time. 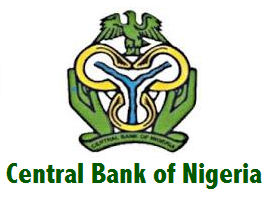 According to Central Bank of Nigeria (CBN), these new changes are made in order to aid the success of the cashless policy and also to assist each Bank in deploying and maintaining their ATMs. The N65 fee is paid to the acquiring bank (the bank which owns the ATM), and the switching company and it is used to cover the costs of the switching and ATM monitoring. Remember, all withdrawals on the ATM of the cardholder’s issuing bank remains FREE. • As a Bank ABC Cardholder, it is free every time you withdraw on a Bank ABC ATM. • If you withdraw on another bank’s ATM it is free the first 3 times every month. • From the 4th time in a month you withdraw from another bank’s ATM, there is a N65.00 fee. Hope you'll put this new change in mind and try as much as possible to withdraw just thrice within a month in order to avoid paying the #65.00 charge. Now, what do you think about this new changes made to the ATM charges ? Do you think what the Central Bank of Nigeria is doing about the ATM charges is okay ? Kindly drop your contributions, using the comment box below. Hi Kamoru, That's true. You're right about that. All the 'Out Of Service' and 'Temporarily Unable to Dispense Cash' should be out of it.